Japanese Prime Minister Shinzo Abe, left, shakes hands with Russian President Vladimir Putin prior to their talks during the G-20 Summit in Antalya, Turkey, Nov. 16, 2015. Japanese Prime Minister Shinzo Abe is planning to visit Russia next spring for talks with Russian President Vladimir Putin, Kyodo news reported on Dec. 10, citing diplomatic sources. The talks would focus on the Southern Kuril territorial dispute, according to the report. The beginning of arrangements for such a trip is in response to an invitation extended to Abe by Putin to visit a local city in Russia other than Moscow, when the two leaders held talks in November, the news agency, cited its sources as saying. 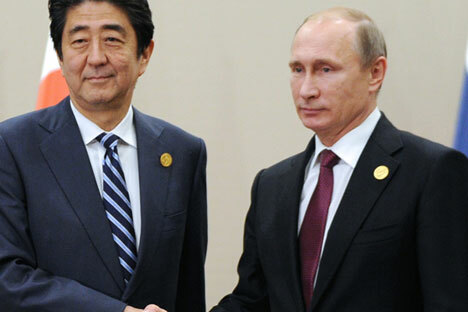 Abe would like to make a breakthrough on the territorial dispute before Putin visits Japan, according to the report.